SDMS System looks at these constraints which increases the productivity of your sales and maximizes the efficiency of resource(Staff and Vehicle) utilization. 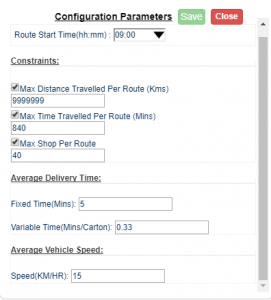 Other than the constraints you can configure your route to limit Number of trucks to be used in each route, delivery time windows, delivery speed, etc. Group your shops as a sector. While creating the trip, Planner need to choose the type of sector and resource(staff and vehicle) details. Let your sales executives to take orders in the respective routes. Get real-time updates on the changes made via the order taking app and ensure that no single information slips out from reaching your entire sales network. Planner pulls previous days orders to deliver the details. 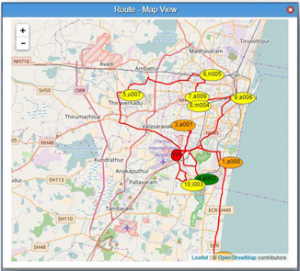 Delivery routes are generated for delivery operations in your business running like following types. We can do this for other material transfer operations. Primary Route: Tranfer materials from Warehouse to X-Dock points. Directly transfer and materials from Warehouse to customers. 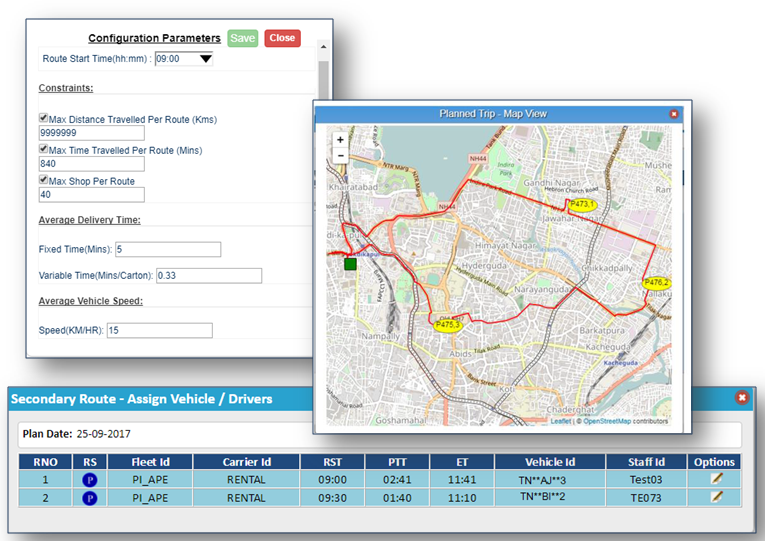 After the route is generated, assign who want to go in the respective route , what vehicle they need to use and list of materials they need to carry. 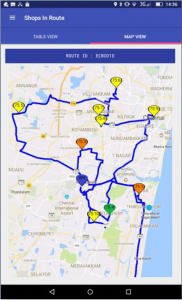 Tell your Sales executives and delivery boys to login and start their trip using SDMS android application. Once they login, all details is synced in the mobile, now they are ready to start their trip. 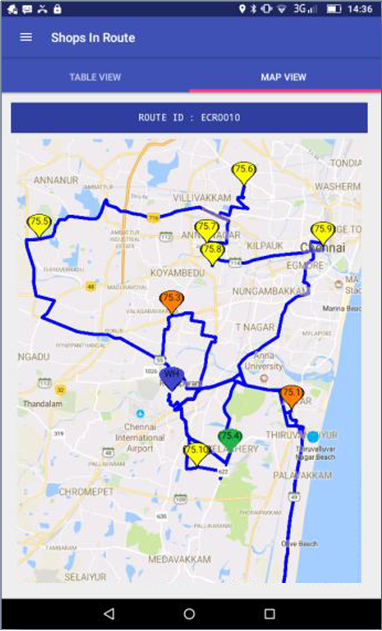 Our SDMS system designed to track the sales and delivery boys actual locations and their travelling path after their trip is started. You can check planned and actual trip path in a planner panel.